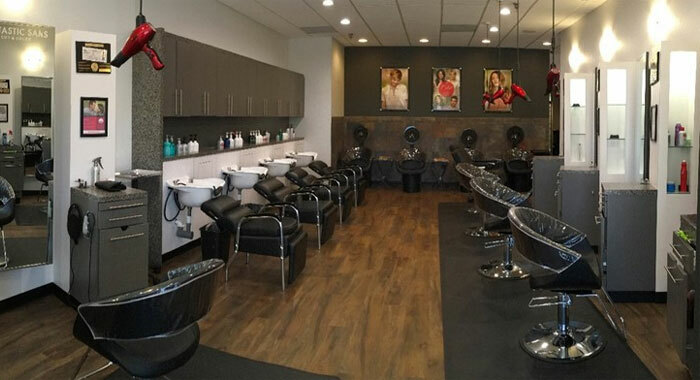 With a name like Fantastic Sams, this chain of over 1,000 budget-friendly haircare salons certainly has plenty to live up to, and these franchises simply do not fail. They daily provide fabulous service, a full line of services and friendly employees who live up to the promise in the salon’s name. Fantastic Sams prices start at around $18 for an adult haircut and go up from there. When you choose Fantastic Sams for all of your hair care and hair product needs, you can be sure that you truly are choosing something completely fantastic. You will notice this as soon as you walk in the door and check out their appointment-free services offered at each salon. This is not just a hair cut and color salon. Instead, salons offer a full range of services for men, women and children, and many services are offered in budget-friendly packages. All of their offerings are easy on the wallet, making it simple for you to achieve a great hair style without breaking the bank. Something else you will notice here is that each stylist is friendly, professional and ready to listen to your needs. Rather than snipping and coloring without finding out what you truly want, your stylist will be sure to begin your appointment with a brief consultation to ensure tFhat both of you are on the same page. Customer service is a big reason why many people choose to come back time and again to Fantastic Sams. After your consultation, you will get to choose one or more services that you want to look and feel your best. You may want a simple haircut, or you may prefer to save money by combining services, such as with a shampoo, haircut, dry and style. Men can enjoy simple clipper cuts, and children can get fun shampoos and cuts for a fraction of the cost of an adult style. You may also want to come in for a fresh color for the new season. Fantastic Sams offers all-over colors as well as full and partial highlights. Color gloss give you semi-permanent color that will last for a few washes, and gray blending helps you color away your grays with a natural look. Other services you can enjoy here include texturizing with permanent waves, relaxers or keratin treatments and bang, neck and beard trims for quick touchups. To get rid of a bit of unwanted facial hair, try the brow or lip waxing treatments. All haircuts include "FS shampoo therapy" (a complimentary shampoo and 3-minute scalp massage). All color services include a blowout. Additional charges may apply for length, thickness, and/or condition of hair. Additional charges may apply for length, thickness, and/or condition of hair. Priced by complexity of style. Fantastic Sams is more than just a great place where you can get your hair cut. Here you can also find all of the products that you’ll need to keep your hair always looking just as great as it does at the end of your appointment. They sell salon-only brands as well as their own product lines to provide you with an array of cleansing, conditioning and styling products in an array of prices. Salon-quality products give you great results that leave your hair smooth and healthy without added fillers. The Fantastic Sams product lines include formulations for lift and volume, moisturizing, clarifying and color protection based on your needs. As you can imagine, Fantastic Sams was started by someone named Sam. Sam Ross opened the first Sams, which was originally called Incredible Sams, in 1974. By 1976, he had changed the name to the moniker now known across the country thanks to the over 1,100 franchises. Franchising began in the same year, and the brand continues to grow thanks to the many individuals choosing to open more super-successful salons. Today, Fantastic Sams continues to market itself as a full-service, budget-friendly salon for the whole family. You do not need to make appointments as appointment times move swiftly and plenty of stylists work at each location. Dessange International, a European salon chain, owns Sams, and the current CEO is John Constanza who had previously been the CEO of Conair Corporation. Each salon continues to offer a relaxed vibe with European elegance in its simplicity. By building on its history of fabulous service at a great price, Fantastic Sams is poised to continue growing.